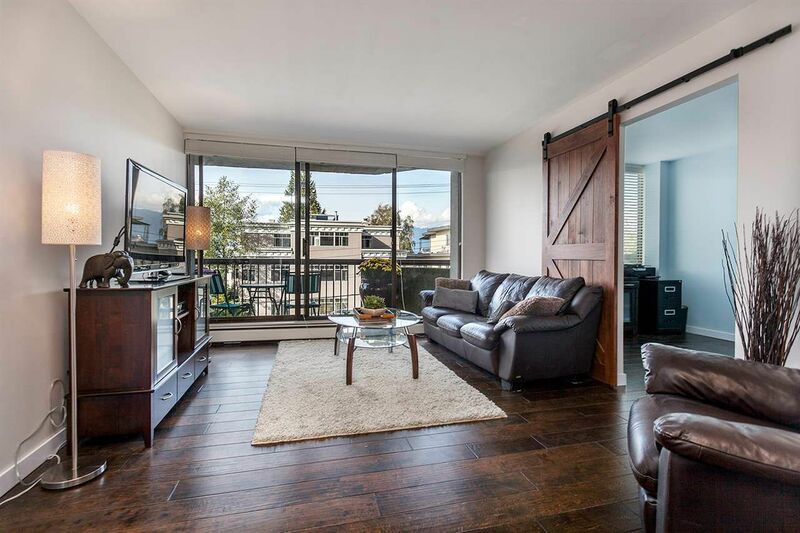 Fully renovated suite in one of Kitsilano's few concrete buildings. Everything in the unit is brand new and no detail has been overlooked. Living space has mountain views and is spacious enough to fit large furniture with a modern kitchen. 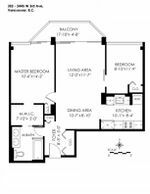 King sized master bedroom has access to balcony, lots of storage, and double sink ensuite. With in=suite laundry, engineered hardwood floors, and numerous other upgrades, it is move in ready. Carriage House amenities include outdoor pool, tennis courts, sauna, common room, and a caretaker. Levies for new piping, roof, and lobby have already been paid. Open House Sat Apr 30th 2-4pm & Sun May 1st 2-4pm.